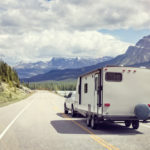 Does Your RV Have An Electrical Problem? Fix My RV Can Help! We’ve been there, too. You wake up, ready for the day and looking forward to that first cup of coffee. You try and turn on the RV coffeemaker that you’ve relied upon for years, and it doesn’t work. What do you do? 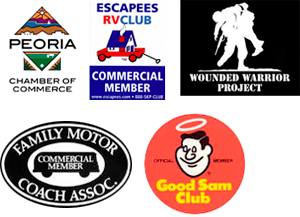 Call Fix My RV AZ if you are in Arizona and need mobile RV repairs made. We troubleshoot RV electrical problems and can fix any RV electrical issues that you might have. If you are an RV owner inclined to try and fix your RV electrical system problems, I would caution you to not try and troubleshoot and repair electrical system parts. If you are a novice with no experience in RV electrical engineering, you should not touch anything, and call your RV repair technician before using any of the appliances or any tools that require electricity. Getting to the bottom of your RV’s electrical problem will require us to come out and take a look. Each problem is different; however you can increase the longevity of the RV’s electrical appliances being used, and the system parts itself with regularly scheduled maintenance checks. We offer seasonal maintenance and routine maintenance checks, and we are not your everyday run of the mill, cheap but fast, RV repair technician. Certified Master RV Technician, Jeff Averyt is an RV electrical system expert. He utilizes his skillset, decades of experience, certifications and education from the only RV Repair Technician school in the country, and ensures that your RV is fixed correctly, without throwing the repair together hastily. “Jeff’s attention to detail is unmatched in our area”, is a common review of our RV electrical system services. Read more about other parts of your motorhome that we can fix. We offer RV Air Conditioner Repairs, Aqua Hot Repairs, RV Awning Repairs, RV Refrigerator Repair, and RV Furnace Repairs.